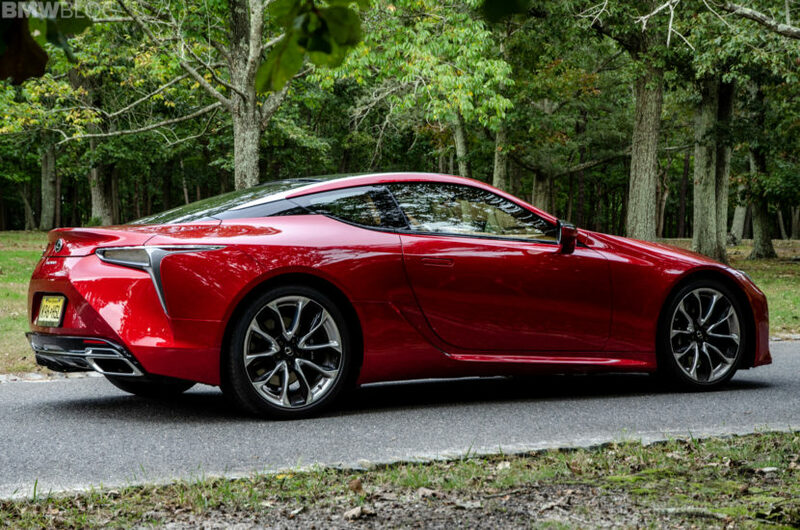 Awhile back, we test drove the Lexus LC500. With the BMW 8 Series now on the road for the first time in two decades, we want to see how it stacks up against its competitors and the LC500 is one of its biggest ones. So we gave it a whirl. It was an interesting car, the LC500, and one that had a ton of potential. However, it was also lacking in a lot of ways so, in the end, we’d still take the M850i. However, it seems as if the Japanese brand is looking to take its flagship car one step further, with the upcoming Lexus LC F.
While there really isn’t much information confirmed about the Lexus LC F, we know it will be the fastest, most aggressive model in the LC lineup. When it eventually debuts, it will be a prime candidate to take on the BMW M8, a car we also officially know little about. 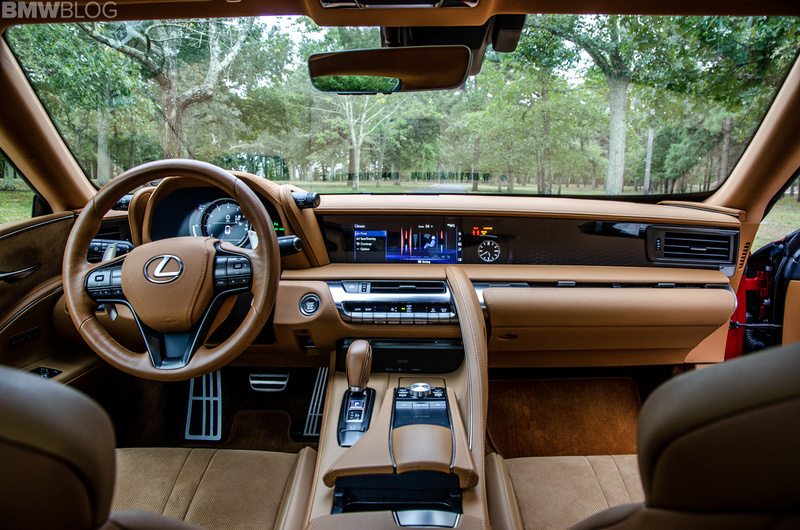 Personally, I didn’t love the LC500. During my time with it, I noticed so much potential for it to be great, yet it consistently fell short. It had so many excellent ingredients but it just failed to make a cohesive dish out of them. For starters, its engine was magnificent. With a 5.0 liter naturally-aspirated V8, the big Lexus was one of the most charismatic cars I’ve driven in a very long time. Just a wonderful motor, with more than enough shove and an absolutely spine-tingling soundtrack. Sure, it was down on power compared to the M850i and would be lunched by the big Bimmer in a race but it was excellent to use and extremely enjoyable. It was flawed elsewhere, though. While its steering was good, its damping and suspension setup was a bit of a mess, being a bit too choppy and sloppy over rougher pavement. Also, its interior was an ergonomic nightmare (despite looking very good, actually) and its transmission was infuriating. 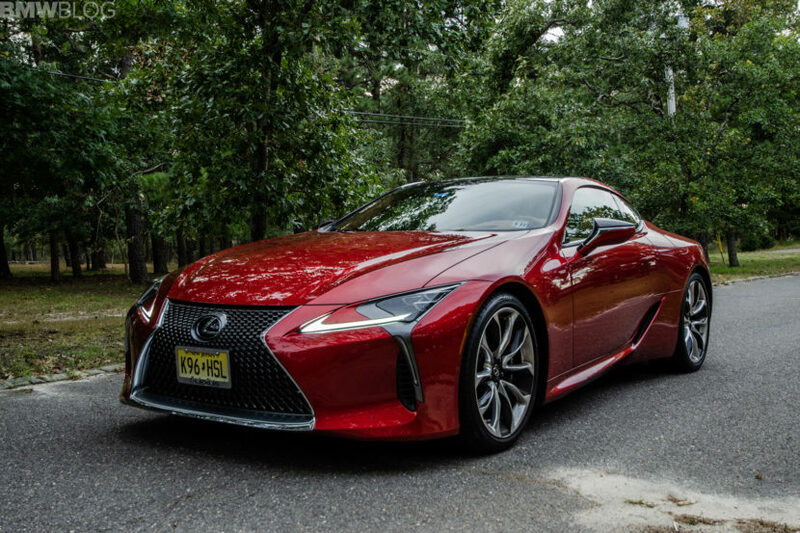 However, if the Lexus LC F can fix the chassis, suspension and transmission issues while also adding more power and more noise, it should be one helluva car. After driving the BMW M850i, we know that the upcoming BMW M8 has a ton of potential as well. So once these two cars finally hit the road, it should be an incredible face-off.